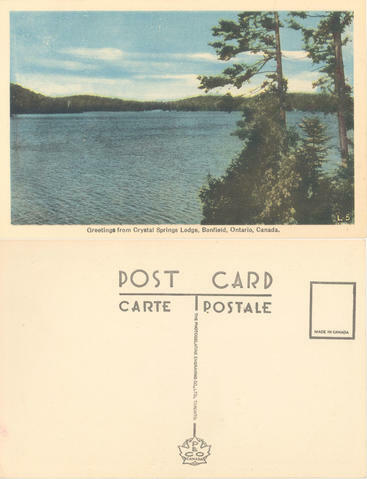 Item 038 - Greetings from Crystal Lodge, Bonfield, Ontario, Canada. L-5. Photogelatine Engraving Co. Limited, Toronto. Item is a postally unused postcard depicting a lake.